WiZ Smart Lights: Is it better than Philips Hues and LIFX? If you’re still switching your lights on with a wall switch, then you’re doing it wrong! 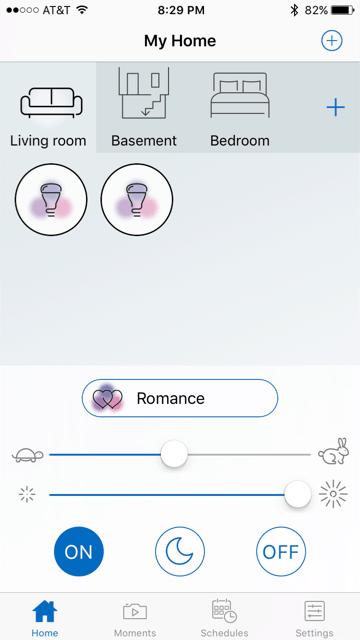 In the past year, I’ve outfitted my whole apartment with smart light bulbs and smart LEDs. Well…now that I’ve had a whole year with the technology, I can say with confidence that I will never go back to switching my lights on manually. 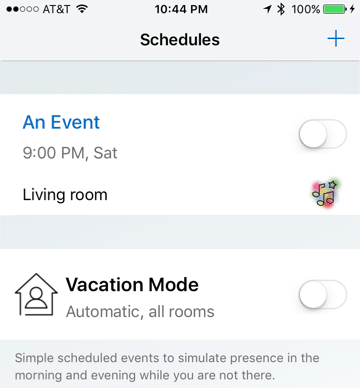 Even more importantly than remotely switching your lights on and off is the fact that you can control the brightness of your lights, select different colors, and even integrate them with other apps (such as your lights automatically turning on when you’re about to enter your home). Up until last week, I strictly utilized LIFX for my smart light needs. I’ve reviewed their LED and bulbs on Youtube. So it’s safe to assume that I was on the LIFX bandwagon, well, that might change with the latest smart light I’ve received! Since I am a smart bulb fantastic, I’m excited for this WiZ smart light review. Last week I was contacted by WiZ, a French-Asian smart lighting company that is in the midst of expanding to the North American market. 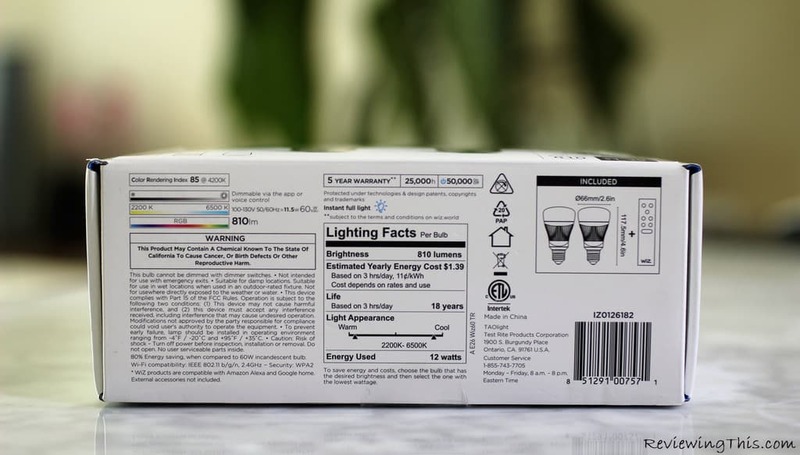 WiZ personally asked me to review a set of their smart lights – specifically their A.E26 color bulbs and pair them up against the giants in the industry, so here we go! I received a pack of two light bulbs from WiZ. These bulbs come fitted with 16 million different colors and 64,000 white variations possible. In terms of brightness, you’re looking at 810 lumens. Lastly, believe it or not, I was also impressed to receive a remote for the lights. 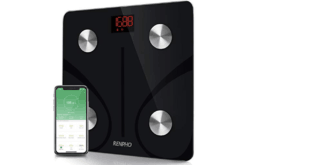 While it may seem strange to utilize a remote when you have a smartphone, it does make sense if you have spotty WiFi or if you have a guest who would like to play with the lights. For just $69.95; you’ll receive these two bulbs and a remote control from WiZ. For reference, two white/color bulbs from LIFX will run you $99.99. If you’re interested in Phillip Hues, then you would be alarmed to hear that just two white bulbs will cost $129.95! 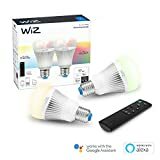 It’s clear that WiZ is vastly more affordable than LIFX or Phillips, but how does it match up in regards to specs? The only distinction that you will find between these three companies would be a number of lumens. LIFX does exceed with their top bulb exerting 1100 lumens, but other than that, these lights are dead even. These lighting facts help us understand how much energy these lights pull, and what their expected life is. Each bulb will last 18 years on average if you decide to only use them for 3 hours a day. With this usage, you can also expect the electricity cost to be around $1.39 annually. If you decide to utilize your lights for more than three hours daily, then expect your electricity cost to be a bit higher, as well as a shorter life span. With all that being said, WiZ does provide you with a 5-year warranty on their WiZ bulbs! 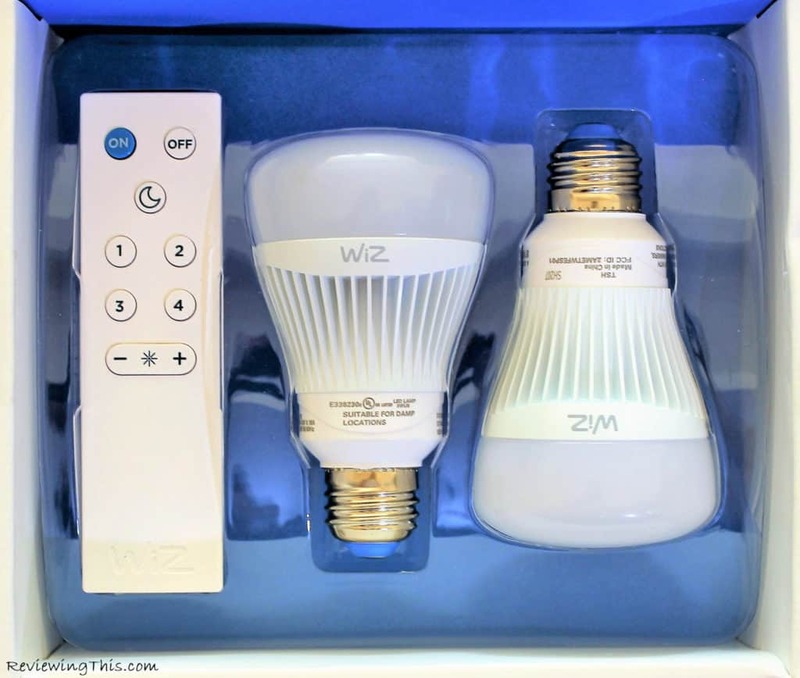 When you finally open up your WiZ box, you’ll find your two bulbs and remote neatly packaged. A manual, as well as a safety booklet, will be attached to the top. Let’s take a closer look! Here are our two bulbs! When it comes to the remote, you will need 2x AAA batteries to power it. Using the remote, you can easily turn your lights on/off using the top buttons. If you want to quickly dim your lights to a soothing yellow tone, then you simply click on the crescent moon. The buttons numbered 1-4 are your presets which you will customize from within your app. Lastly, the lowest button is your brightness control. If you’re an Apple user, download the free app on the iTunes store. If you’re an Android user, click here to install the free WiZ app on Google Play. When you open your app, the first step is creating a “Room”. You’re simply letting WiZ know where the lights are located so that you have better management. Simply click on the plus sign to continue. 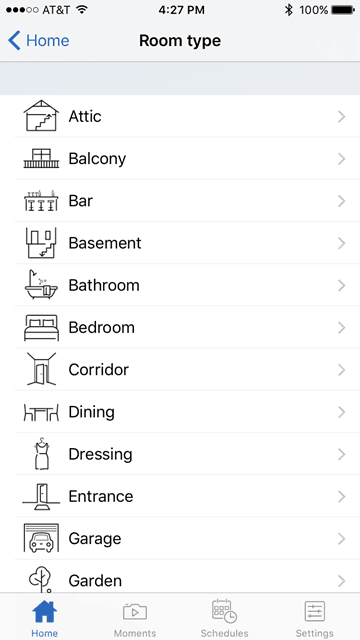 On this screen, scroll through the options until you find the location for your lights. 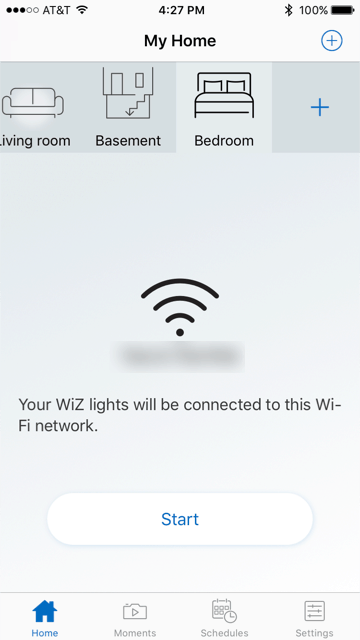 Keep in mind that smart light technology relies on your WiFI connection. As long as your particular Wifi network is online in your home, your lights will always be accessible. Enter the password that you actually use for your WiFi network. Final step! This will be the last time you are going to interacting with your actual wall switch. 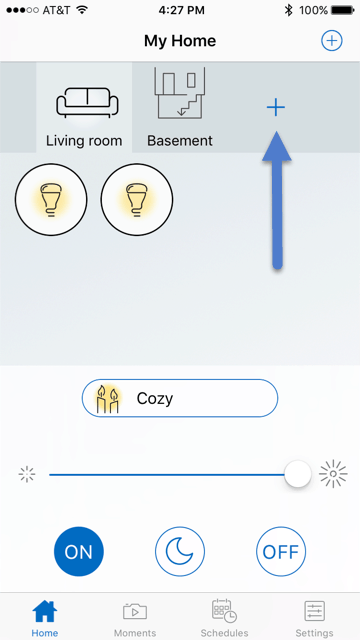 Head over to your light switch, and continue to turn it on/off until the app connects with your lights. P.S – Make sure to install the light bulbs first! We’re back to your “main page”. On this page, you have a few options. First things first, it’s important to know that if you want to control all the lights within a room, you have to click on the room itself, in doing so, you’ll see a black circle around both lights. If you intend to only adjust each light individually, then make sure that the only light you want to adjust is the one circled in black. To control your brightness, use the slider on screen – as simple as that. For turning your lights on/off, you have two labeled buttons to make that happen. To quickly adjust your lights into a “night light” status, press on the moon. Use the slider to find a white that suits you. 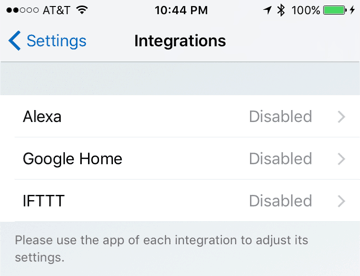 Once you do, and if you truly love it, then tap on “Add” so that it can be added as another quick to access preset under the “White” section. Scrolling a bit lower, it brings us to colors! Just as with whites, you’ll find a few pre-selected colors such as ‘Relax’ or ‘TV time’. 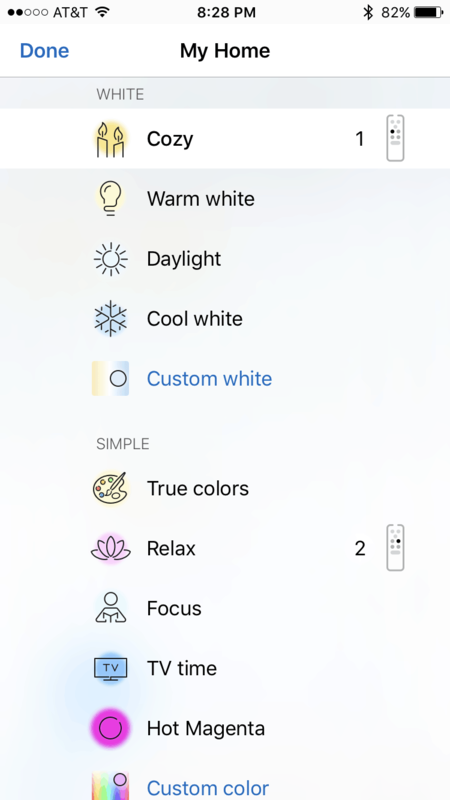 Similarly to the ‘White’ section, if we tap on ‘Custom Color’, we’ll see a color chart that allows us to select between 16 million different colors! Like what you selected? Click “Add” so that it’s easy to find next time. Personally, I love the ‘Hot Magenta’ color that I found while trying out different colors, and added it for easier access. If you would like to WiZ to cycle through different colors in their preset cycle, then this is the section for you. 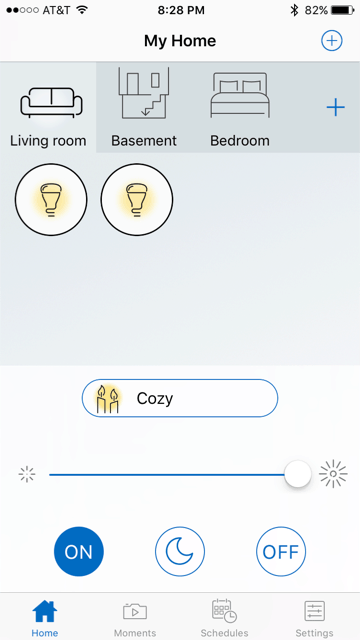 It’s recommended that you utilize a few bulbs with this feature since you’ll be able to observe how each bulb is a different color. 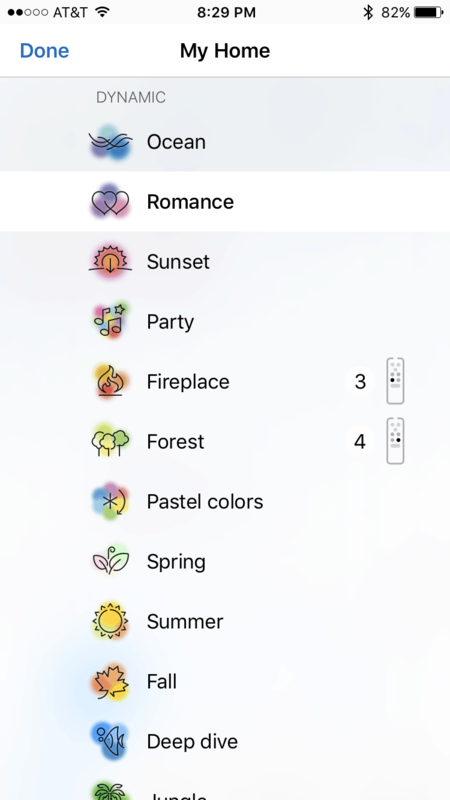 If you’re using the “Romance” option, your bulbs will stick to color tones between red and purple. The first slider underneath the dynamic mode is for speed control. If you want your bulbs to cycle through colors quicker, then drag the slider to the right. Easy! 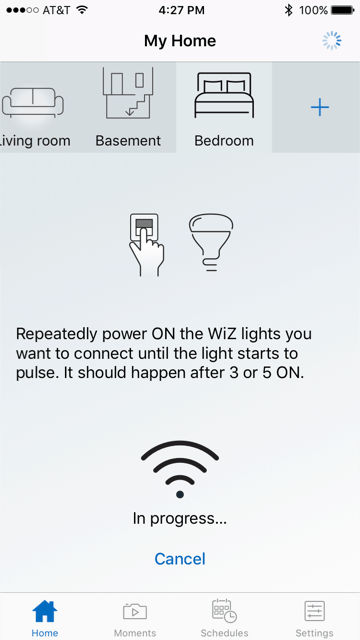 The WiZ mobile app comes with a handy feature to sync your lights to a schedule. Do you want a specific light to turn on at 5 PM, Mon-Friday? Set it up through the app! Wireless communication: Philip Hues utilize a hub for connectivity while LIFX and WiZ use your Wi-Fi network. The addition of the hub has made Philip’s a loser for me since who wants to have another device to plug into their outlet? Security: When it comes to Philip’s and LIFX, if someone gets access to your Wi-Fi or your hub, they’ll have full access to your lights. 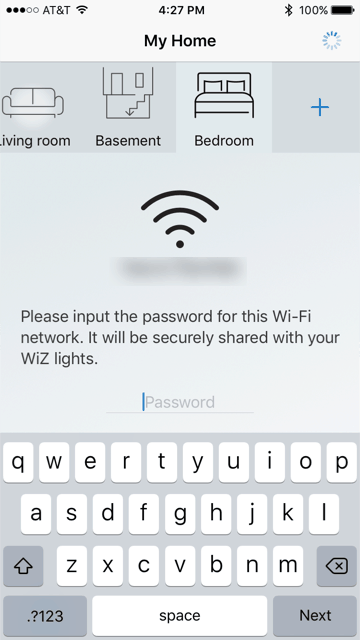 When it comes to WiZ, you need to provide the new user a “Guest Code” that is generated within your own app to give them limited access to control your lights locally while connected to the same Wi-Fi network. Warranty: Both, Philip’s and LIFX offer a 2-year warranty, WiZ, on the other hand, offers a 5-year warranty. Device Limitation: Philip’s only allows 50 users per one hub, LIFX allows 35 users per light, and WiZ allows unlimited users per light. Wiz is a formidable competitor to Philips and LIFX. 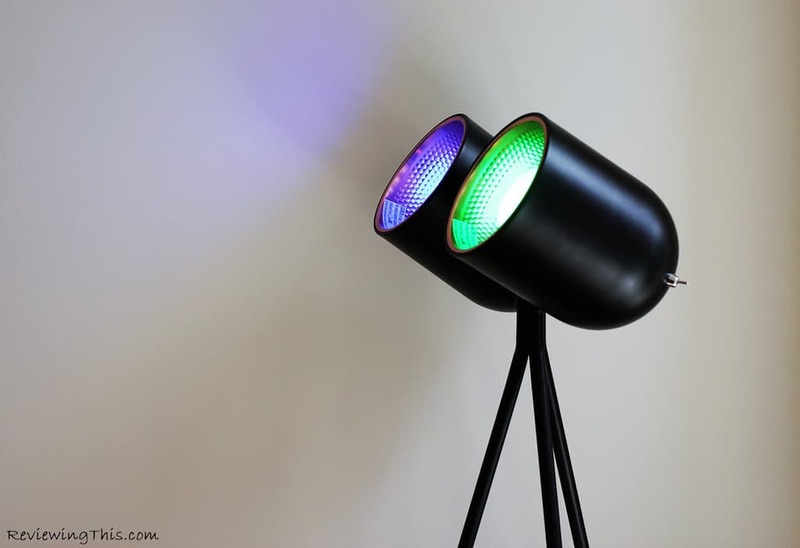 For a much more affordable cost, you’re able to purchase smart lights that offer as many different colors and features. If you’ve decided to outfit your home with 15-20 smart light bulbs, then the savings rack up considering you’ll be saving $20-$40 per bulb. Wiz lights are plug and play and can be setup within two minutes of opening your package. The app is easy to use, and most importantly, non-glitchy (talking to you LIFX!). The warranty offered by WiZ is more than double of its competitors so your purchase is safely protected. When selecting your custom color, the moment you select a color, it will bring you right back to the main page. But if you’re not a fan of that selected color, you’ll need to go back to the appropriate screen to select a different color. I do want to see WiZ leave you on the color page in case I want to test different colors before reverting to the home screen. When selecting your custom color, you have to select a color within a color bar. 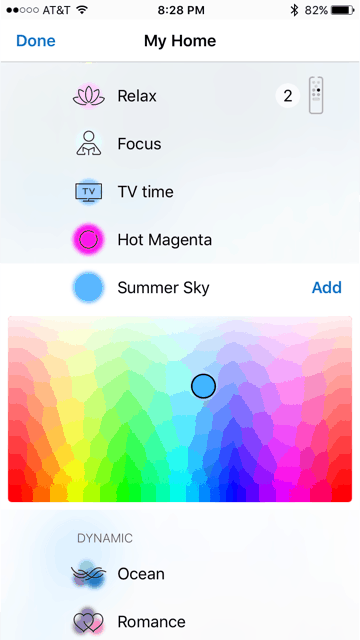 I would like to see that color bar turned into a color wheel – it’s more appealing to the eyes and easier to really pinpoint a specific color. I certainly welcome WiZ to the North American market, and I will be on the lookout for their other smart LED lights! 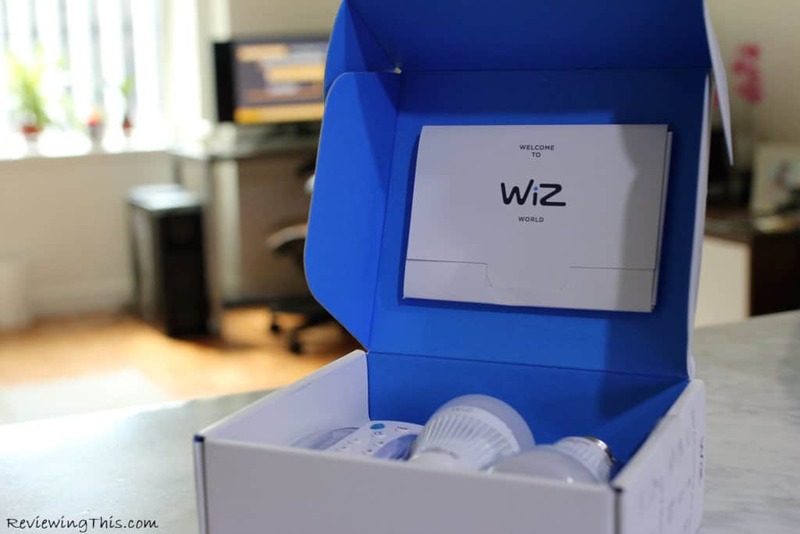 Disclaimer: WiZ has provided ReviewingThis with complimentary bulbs for this review. We have also been compensated for taking the time to make a written and video review of their product. With that being said, our review and opinion is our own and is not influenced by WiZ’s compensation. Previous Review: Dancing Baby Groot – is this the best gift to get a Marvel fan? Excellent report which made me try the Wiz lamps and I haven’t been disappointed. 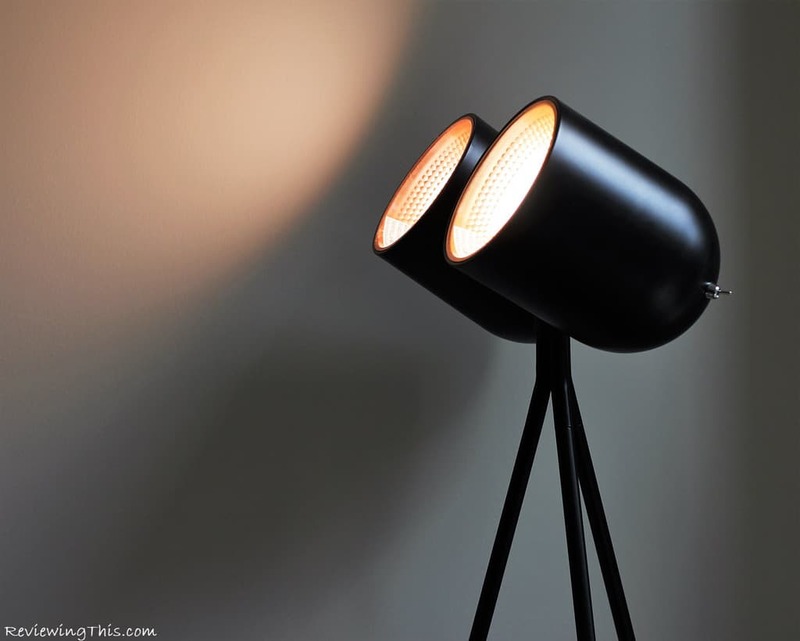 However what I’m even more interested in now: what brand are those black twin lamp holders which you used for the test? 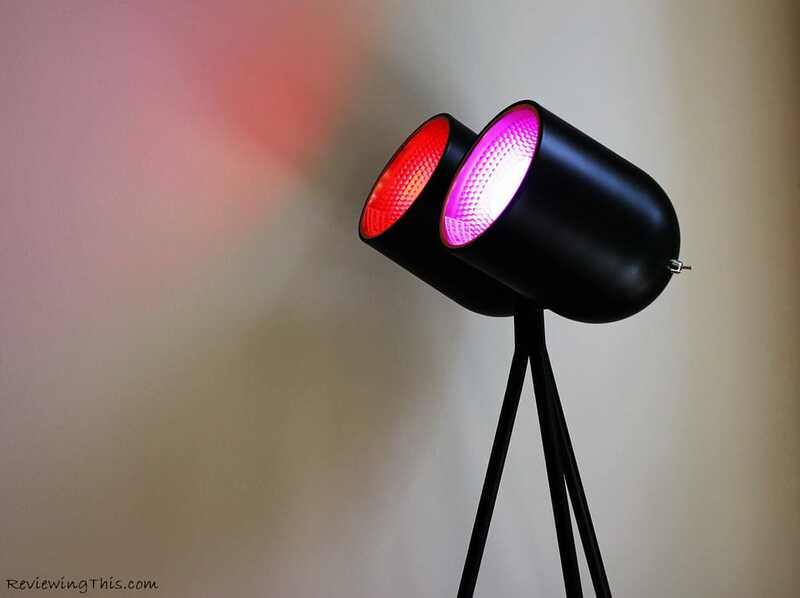 The colored lamps look beautiful in those.